By buying this product you can collect up to 93 loyalty points. Your cart will total 93 points that can be converted into a voucher of Rs. 9.30. 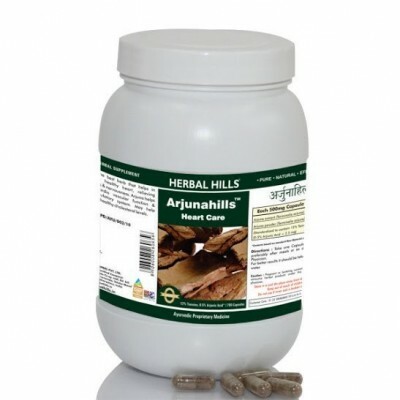 Arjunahills - Value Pack 700 Capsule - Heart Care Herbal Arjuna is the best herb that helps in maintaining healthy heart(cardiac control), relieving mental stress & nervousness. 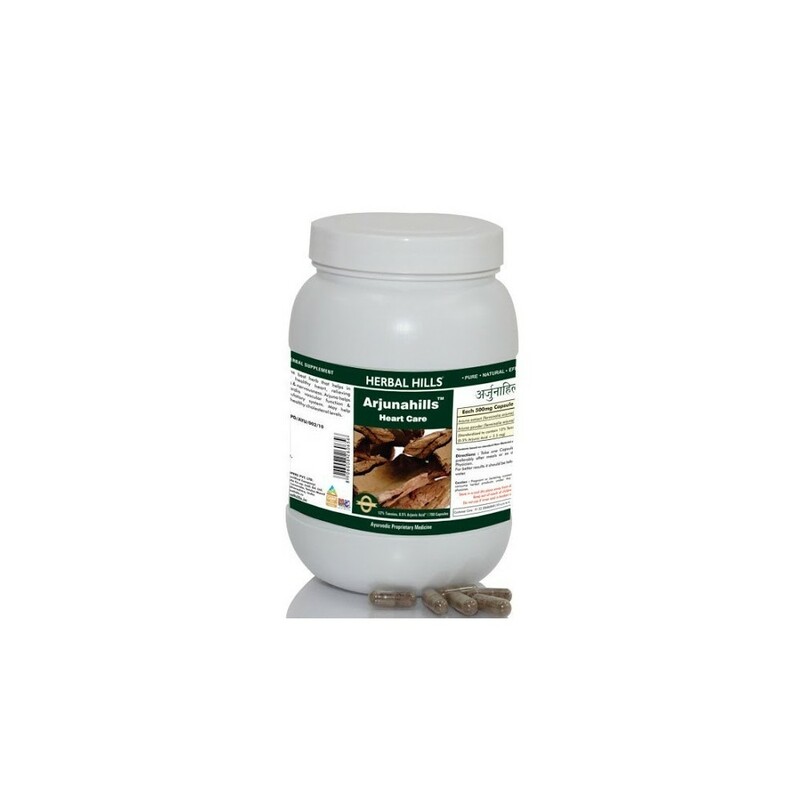 - Each capsule contains 250 mg Arjuna Powder and 250 mg of extract (as dry extract) from Arjuna Bark (Terminalia Arjuna) (8:1) (equivalent to 2000 mg of Arjuna Bark. 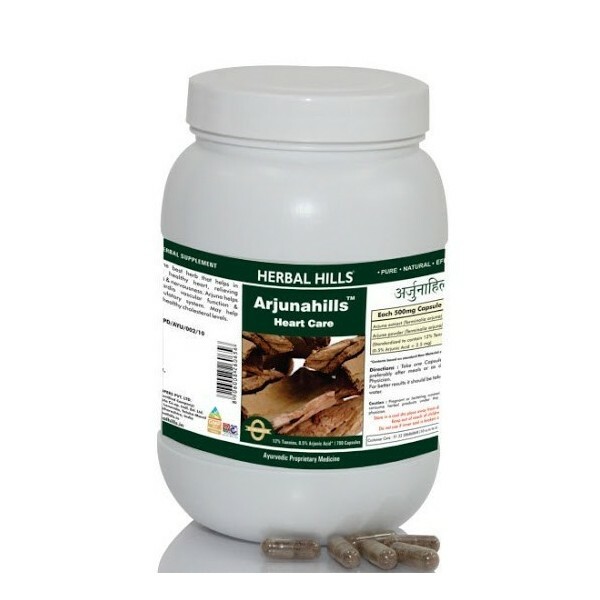 When assayed these capsules contain Tannin NLT 12%, Arjunic acid 0.5%.